In this final mini series on Asian skin concerns, I will be discussing about my favourite topic, red, dry, sensitive skin. 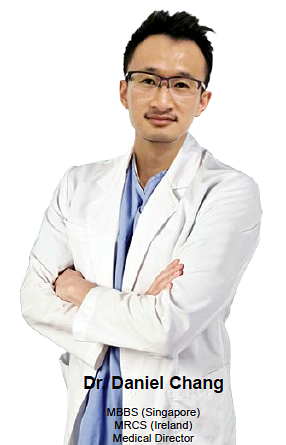 In our climate, it is normal to have dry and sensitive skin that turns red easily. Why is this so? Its because of airconditioning my friend. Red face, red nose, red eyes… No we are not talking about Rudolf here. And no, we are not talking about allergies here.And we are certainly not talking about CNY.We are talking about ROSACEA. Commonly known as the English Rose in the West, this condition is known to affect Caucasians.I have seen quite a number of Singaporeans with this condition, hence I wish to share some information about this, in the hope that you can learn to identify, and manage it.So what is Rosacea?Rosacea consists of a set of primary and secondary features. 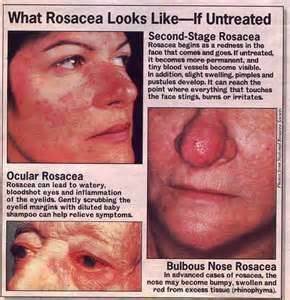 If you have any of the primary features, you may very well have rosacea. Speak to your Dermatologist for further information. Intermittent and easy blushing and flushing is often an early sign of rosacea. Persistent facial redness is a strong indicator. 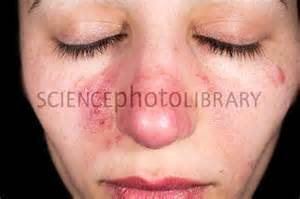 In many people with rosacea, visible capillaries are seen, on the nose, cheeks, etc. Commonly, watery eyes, bloodshot eyes, can be indicative of ocular rosacea. When you notice your skin reacts quite easily to sunlight, and various cosmetic products. A dehydrated skin is common. So what are the subtypes of Rosacea? So what are the usual triggers? So how can we manage Rosacea? Most importantly, stay away from triggers. Cleanse your skin gently with soap free cleansers. Minimise overuse of skincare products. Use good skincare to improve your skin barrier. So how can we treat rosacea? Here I shall outline the measures taken for erythema, telangiectasia, papulo-pustular and phymatous subtypes. For the common garden condition of erythema and telangiectasia, there are some simple measures to utilise. Erythema control can be achieved with the following. Telangiectasia control can be achieved with the following. These respond to oral antibiotics, tetracycline, well. Skin thickening variants (commonly on the nose) will require a course of isotretinoin. So what happens if we dont treat Rosacea? 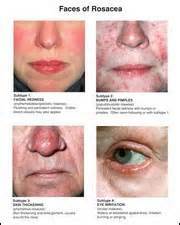 So if you have rosacea, or think you have it, please contact your dermatologist for a consult. For those of you who are interested, here is the study on brimodinine. I hope this has been useful. Have a lovely CNY! May I enquire how to consult you for botox procedures (v shape face)?